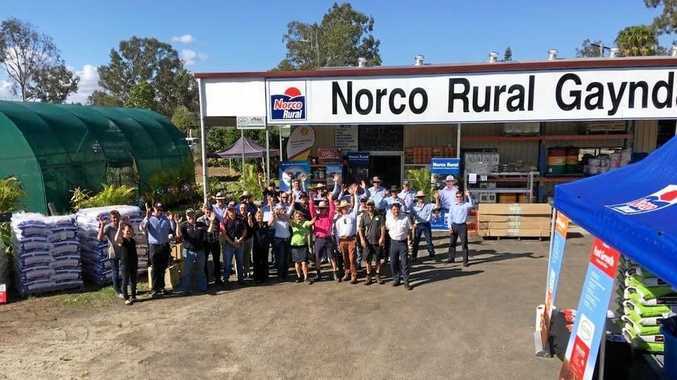 EIDSVOLD got its first taste of Queensland couple Clinton and Lozen Schultz's non-alcoholic craft beers at the town's NAIDOC Week celebration last Friday. 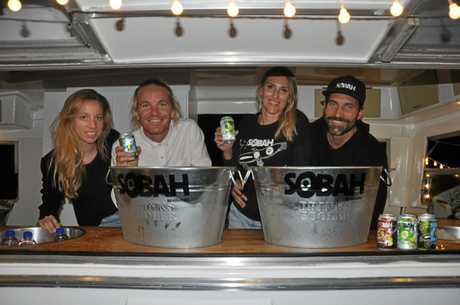 One of just 20 male Aboriginal psychologists, a drug and alcohol counsellor, youth worker and proud Gamilaroi man, Clinton conceived Sobah Beverages after giving up alcohol in 2014. Frustrated by the lack of "adult” options available for non-drinkers, the Gold Coast surfer decided to brew his own. "I work a lot in the drug and alcohol space and I can't stand hypocrites,” he said. "I didn't want to tell others that alcohol is bad for them and then go home and have a beer. "Sobah is about giving people an alternative. It's clear that Sobah is much more to them than just a business. The driving force behind the brand is its potential as a social enterprise. The Schultz's see it as an opportunity to make a difference and are passionate about breaking down the stigma associated with sobriety. 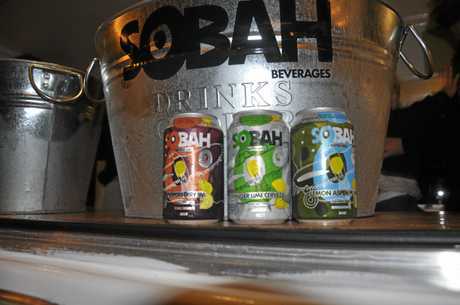 Through their charity arm the Sobah Initiative, their vision is to use beverage profits to fund a more culturally sensitive, spiritual approach to drug and alcohol rehabilitation. While research shows an increasing number of young Australians are turning away from alcohol, Clinton said there is a long way to go to change the antisocial drinking culture that persists in our society. "We have an alcohol problem in Australia,” Clinton said. "We still very much have an entrenched, unhealthy relationship with drinking. "A lot of what is currently being done doesn't work. "I want to bring a more holistic focus than what is available at present. The couple have successfully turned their Sobah dream into a reality. What began as an idea a little more than four years ago and then grew in to a niche tap beer on the Gold Coast, has now exploded into a full-blown brewing operation that distributes to retailers around the country. 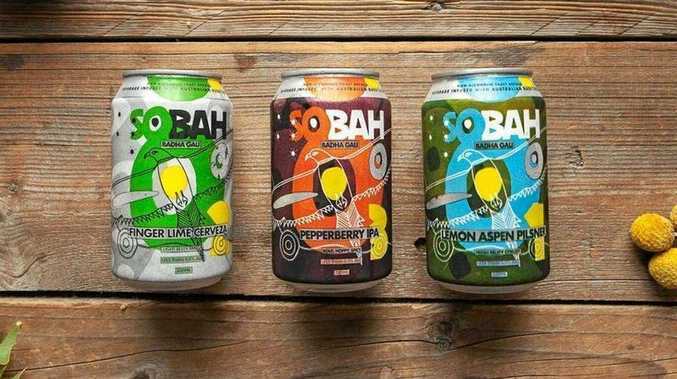 Sobah recently expanded its product line, adding the Pepperberry IPA to its existing lineup: the Finger Lime Cerveza and Lemon Aspen Pilsner. "We mainly sell to independent, family-run businesses but are talking to the bigger chains like BWS,” Lozen said.